The company uses off-the-shelf components to move forward with its goal of launching more satellites more cheaply. 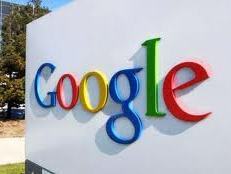 The ability of the company to launch relatively cheap satellites could help Google expand its Internet service offerings. Google is already attempting to expand online access to rural and sparsely populated locations using innovative methods like balloons and drones. Skybox initially struggled to find financing as many prospective investors initially viewed the company skeptically. David Cowan, a partner at Bessemer, said, “No one expected this company to succeed. People in aerospace wrote it off as a Mickey Mouse attempt to do something that was impossible.” Khosla Ventures and Bessemer Venture Partners were some of the first investors in the company. During the years that the company has been in business, it has raised about $91 million.